WASHINGTON — The National Park Service is warning D.C.-area drivers of work on the George Washington Parkway that started Monday and will reduce lanes and probably spark delays. 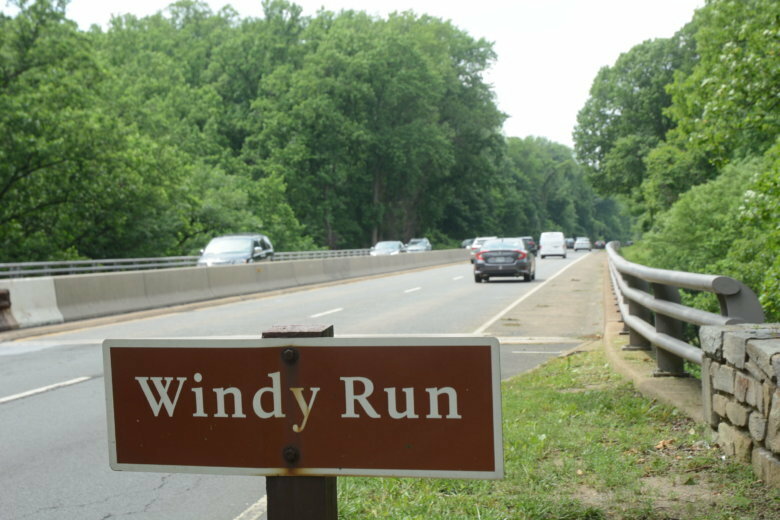 Only three lanes will be open on the GW Parkway near and over the Windy Run Bridge as crews do bridge rehabilitation work, the park service said. The lane shift started before Monday’s morning rush, so commuters should start seeing changes to their route on their way to work. Windy Run is the concrete bridge north of Spout Run and south of the Overlooks and Donaldson Run. “The WTOP Traffic Center is expecting significant impacts from this work zone, especially the first couple of days, if not the first week or two. In addition to potential traffic jams on the parkway, streets around Rosslyn and Georgetown, as well as Chain Bridge and the Clara Barton Parkway will also likely be more congested than usual,” said WTOP Traffic reporter Dave Dildine. There will be one southbound lane and one northbound lane; the third lane is set to be reversible to accommodate morning and evening rush hours, the park service said. “The crossover of the median from and return to the southbound lanes is the most abrupt lane shift seen anywhere in a long time,” said Bob Marbourg in the WTOP Traffic Center. That third reversible lane is northbound noon to 8 p.m. and then southbound from 8 p.m. to noon, the park service said. The reversible lane will be southbound on Saturdays and Sundays. Traffic will share the northbound roadway in a total of three very narrow lanes. Marbourg said that the George Washington Parkway is consistently driven by many well above the overall posted speed limit of 50 miles per hour and is very dark at night. “Driving the parkway now requires a very high degree of caution and an expectation for sudden slowdowns and delays for which we do not have the experience to judge,” said Marbourg. Drivers who are looking for alternate routes may have to do their research. Due to tolls on Interstate 66, drivers take to the GW Parkway and Canal Road, but otherwise, there aren’t a lot of options, Dildine said. Each person should consider a route close to their starting point or destination, allow extra time and don’t look at the clock, Marbourg said. While traffic forecasting isn’t an exact science, Dildine said that delays should be expected, not just around the work zone but farther away from the area as drivers look for workarounds. Roads such as the Whitehurst Freeway through Georgetown and Route 50 through Arlington could feel the effects. Even the traffic on the Capital Beltway near the American Legion Bridge could be slower than usual. Because the GW Parkway is not “directionally focused,” Dildine said he expects delays in both directions during all daytime hours, not just in certain directions during rush hour. He cautions that the “counter” rush hour direction could be especially slow-going, northbound during the morning and southbound during the evening. The work zone speed limit is set to 35 mph. Drivers are asked to watch their speed and look out for the presence of U.S. Park Police — who will be at the parkway to help with traffic shifts — and construction workers. The work is expected to end in the fall, the park service said. Crews will also be out on the GW Parkway, as well as the Clara Barton Parkway, to repair potholes. The park service did not give a specific schedule for pothole repairs but asked drivers to use caution and follow instructions from work crews. Also starting Monday and throughout the week, crews will be moving construction equipment and materials to south of Memorial Circle on the Potomac during the day. The work will not close Mount Vernon Trail, but trail users should be aware of delays due to the work around the area. Elsewhere around the region, the park service said, workers will close the northbound curb lane of Rock Creek and Potomac Parkway near the Kennedy Center from 6:30 a.m. to 2:30 p.m. on Monday, Wednesday and Friday. The park service also warned about possible lane closures on the the Baltimore-Washington Parkway near Riverdale Road due to Purple Line construction work.